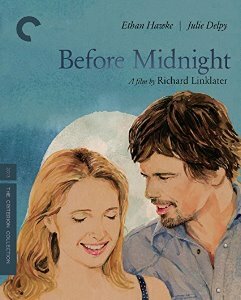 Description: Jesse (Ethan Hawke) and Celine (Julie Delpy) first met in their twenties in BEFORE SUNRISE; reunited in their thirties in BEFORE SUNSET; and, now, in director Richard Linklater's amazing BEFORE MIDNIGHT, they face the past, present and future; family, romance and love. Now on a writer's retreat in Greece, the couple looks for a night of passion, but instead their idyllic night turns into a test of their relationship and a discussion of what the future holds for them. Every nine years, they get together to talk about love, and their conversation is unique in the annals of film. Unique, because this is an ongoing fiction so well-crafted by its principals, director Richard Linklater plus actors Julie Delpy and Ethan Hawke all collaborating on the script, that it plays like documented fact, a kind of 7 Up primer on life’s romantic vicissitudes. From their chance encounter in Vienna (Before Sunrise) to their reconnection in Paris (Before Sunset) to their sojourn here, we meet the couple, Celine and Jesse, infrequently but at points of peak intensity, and those isolated moments form a continuum that seems palpably real – like us, they have aged and compromised and lost big battles that now look trivial and won victories that could prove Pyrrhic. For them too, time has spoken, and only time will tell. 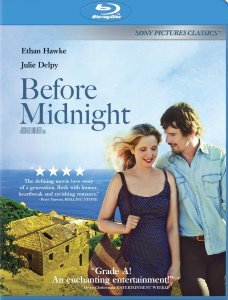 Nine years after Before Sunset, their highly-regarded sequel to Before Sunrise, director Richard Linklater reteams with Ethan Hawke and Julie Delpy for Before Midnight, which finds their characters together raising twin daughters. Jesse (Hawke) attempts to maintain a relationship with Hank, his teenage son from his first marriage, but their bond is strained even though Hank has just spent the summer with his dad and step-family. 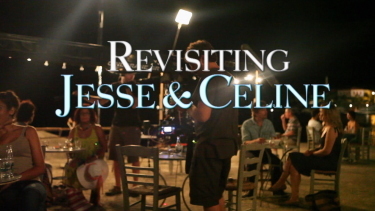 Meanwhile, Celine (Delpy) must make a difficult decision about her career. 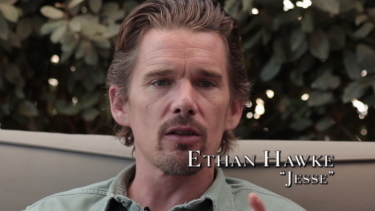 As with Before Sunset, Linklater, Hawke, and Delpy share credit for the screenplay. 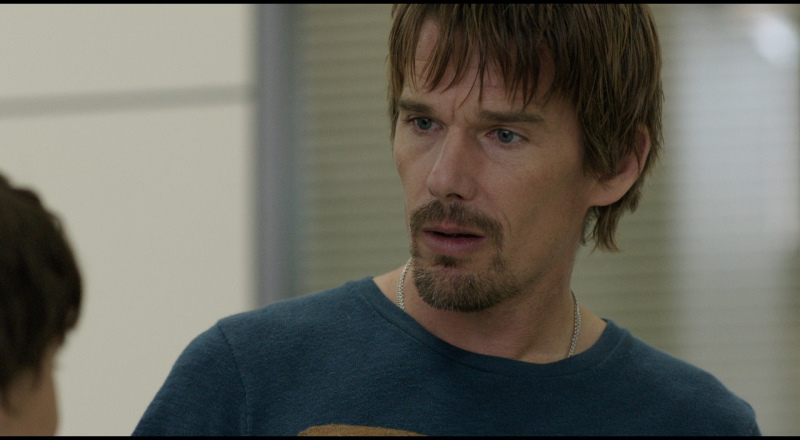 Before Midnight screened at the 2013 Sundance Film Festival as well as the 2013 Tribeca Film Festival. 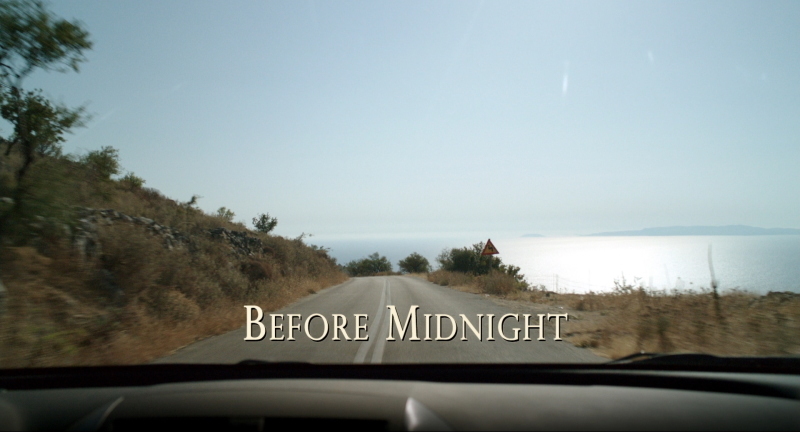 Before Midnight gets a Blu-ray release from Sony Pictures. 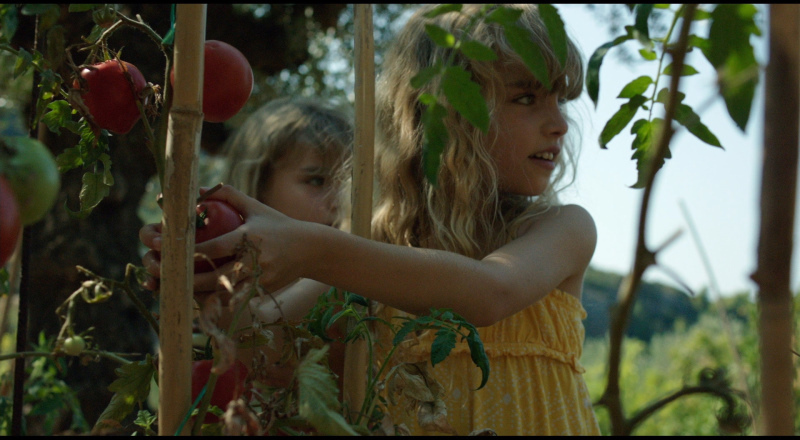 Shot on digital (Arri Alexa) the film doesn't seem to exhibit any of the deficiencies of that, more commonly used, production option. Perhaps it was printed to 35mm, but regardless it looks quite strong. It is transferred to a dual-layered disc with a high bitrate appearing bright, with plenty of depth. Contrast is well balanced showing no manipulation. The visuals look incredibly realistic. Even the outdoor shots can show impressive brilliance. Detail is at the higher end and there is no noise. This Blu-ray offers a superb image - most assuredly duplicating the theatrical film experience. We get a DTS-HD Master 5.1 surround track at 3306 kbps. It seems far more robust than necessary for the film but some nice subtleties make it to the rear speakers establishing atmosphere. Graham Reynolds (A Scanner Darkly) did the score. 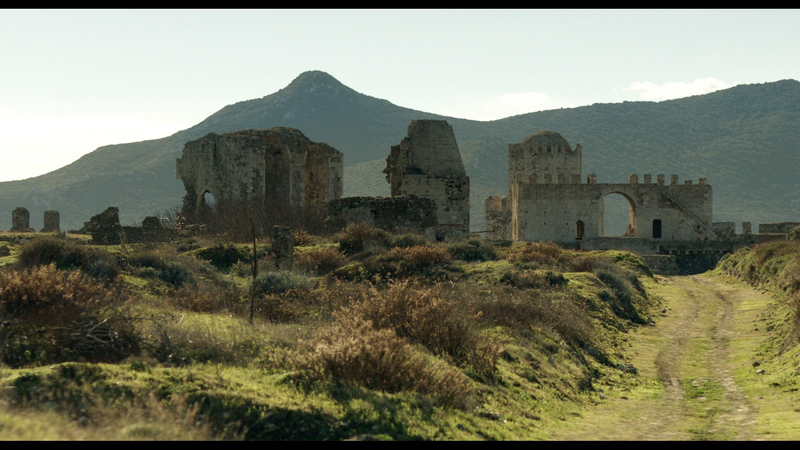 It is clean and clear benefitting from the lossless rendering - mostly running beside the film supportively. There are hints at depth but basically it seems a strong replication of the film. All good. There are optional subtitles and my Oppo has identified it as being a region 'A'. Audio is, likewise, exactly the same as the Sony far as I am concerned - also a robust DTS-HD Master (24-bit) in 5.1 surround. Sounds just as strong supporting the film's subtleties. Criterion also offer optional English (SDH) subtitles and their disc is region 'A'-locked. 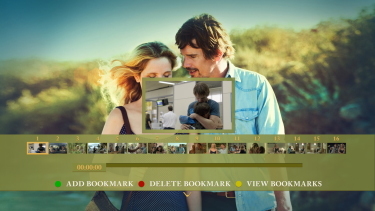 Sony include a light, but enjoyable commentary with Ethan Hawke, Julie Delpy and Richard Linklater discussing the films, characters and beyond. 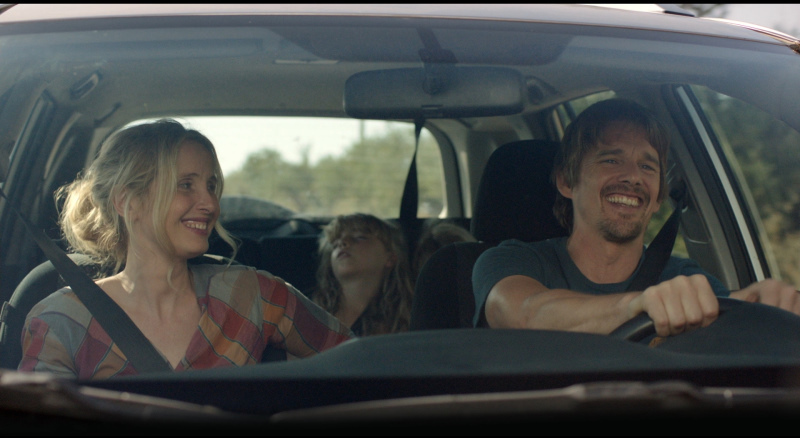 There is also a short, 6-minute piece, entitled Revisiting Jesse and Celine and a lengthy Q + A with Ethan Hawke, Julie Delpy and Richard Linklater. Lastly we get a theatrical trailer. Criterion include the same commentary from 2013 with Hawke, Delpy and Linklater. 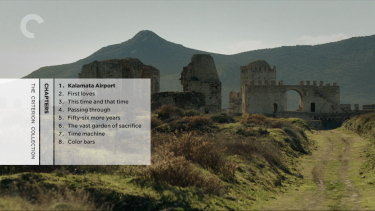 They also add After Before, a new 1/2 hour documentary by Athina Rachel Tsangari about the movie’s production in Greece and “Love Darkens and Deepens,” a 40-minute, audio-only, episode of the radio program Fresh Air featuring host Terry Gross, Linklater, Delpy, and Hawke from 2013. The Criterion includes, Blu-rays of Before Sunrise and Before Sunset, and a liner notes booklet with an essay on the trilogy by critic Dennis Lim. More of the same type of relationship analysis focusing on a new level with kids (two of which are twins!) and other interpersonal areas. Those who enjoyed Before Sunrise and Before Sunset (my personal favorite of the 3) will undoubtedly appreciate Linklater's film the most although it is a great film in it's own right. This has excellent performances and a v�rit� touch most director's are incapable of creating. Yes, we are all getting older. The Sony Blu-ray gave a solid, consistent presentation - a valuable film experience, IMO. Strongly recommended! Excellent package idea by Criterion - the films - spanning almost 20-years continue to grow in estimation through repeat viewings. You can't really see one - without the other two. This is absolutely recommended.